Photographs are an investment that last a lifetime. We have created a set of packages to meet every equestrian's needs and desires. Booking your session with Ashleigh Magnus Photography is simple! 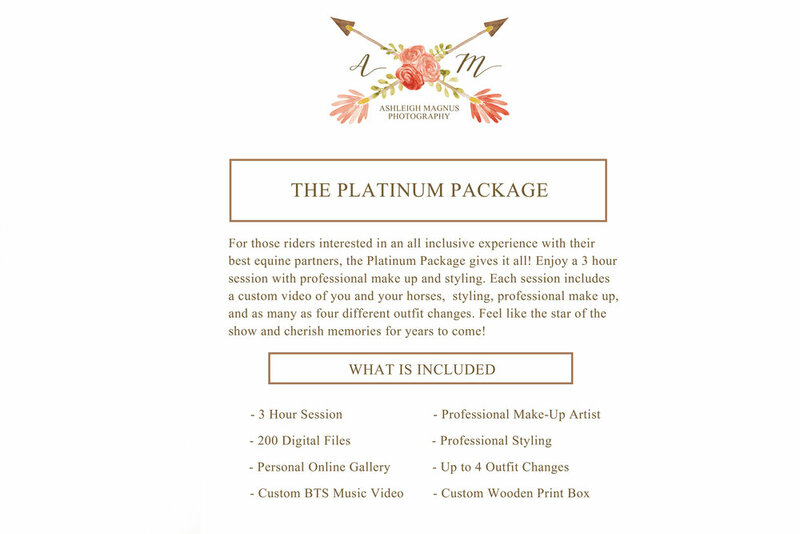 Choose one of the packages listed below then email info@ashleighmagnus.com to discuss dates and details.